The newest edition of the hit soccer simulation is back to score another win for the franchise with a whole new set of moves. 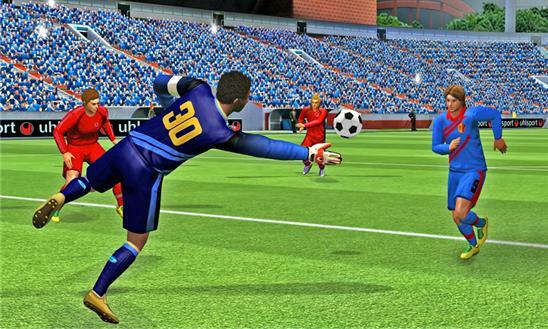 Take part in the most immersive soccer simulation and show that you are the best on the pitch. Reinforce your team by developing your club’s facilities, hiring new staff members, dealing with sponsors and more. 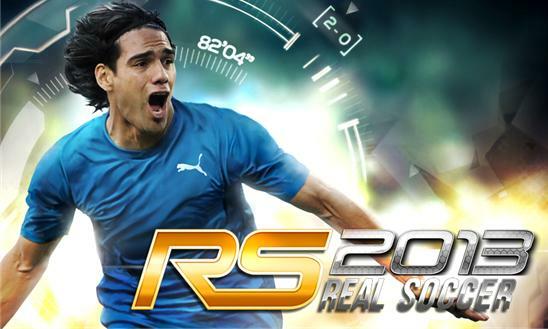 Join soccer legends like our cover athlete, Falcao, on the pitch. YOU ARE SOCCER, YOU ARE REAL SOCCER! LEAD YOUR CLUB TO THE TOP Take control of your team on the field. Starting with a rookie team, you’ll need to improve your players’ abilities to reach the top league and compete against the best teams in the world for the championship. REALISM PUSHED FURTHER For the first time in a Real Soccer game, see personal names and portraits of over 3,000 top players thanks to the official FIFPro license. Updates of the game will keep your game up to date with the most recent player transfers and roster changes. DEVELOP YOUR CLUB The best teams in the world have the most modern facilities. Get your players in shape by developing your training grounds to increase your players’ physical, technical and tactical skills. Earn more money and attract fans by expanding your stadium, filling it with shops and signing big-name sponsors. THE MOST IMMERSIVE EXPERIENCE Smooth and realistic graphics make every player come to life on your screen. Witness over 700 motion-capture animations as you take on an improved AI for a TV-like experience with spectacular effects and cutscenes.